The Little Dolphins have adjusted to school and are doing great! We have learned the class rules and established our daily routine. We have been working hard and have learned a great deal. We have learned how to spell our name, writing our name, rhyming words, colors, basic shapes and how to count to 20! Attached at the bottom of the page is the monthly snack calendar. It is the same snack schedule that was sent home in the packet you received at the “meet and greet.” I have added some beginning skills that your child should practice at home. These are the skills that we are reviewing at school. Each month there will be skills included on the snack calendar too for you to review at home. Reviewing the skills at home will reinforce what I am teaching here at school. If your child is having trouble with a skill, please give them some extra help at home to ensure their success at school. 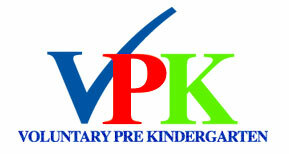 If you have any questions, or would like to be placed on the contact list for 2019/20 VPK school year please feel free to contact Janet Bryant, VPK/Extended Day Coordinator, at [email protected] or (904) 547-8971.